Jaysh al-Islam is a stalwart ally of US State Department-listed terrorist organization al-Nusra, though one would never suspect as much reading weepy Western eulogies over the terrorist organization leader's death. 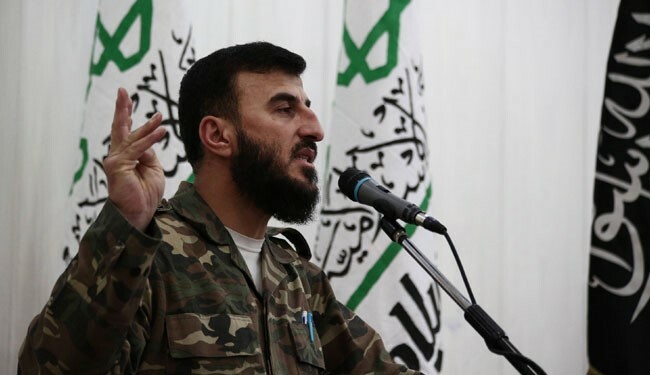 January 3, 2016 (Tony Cartalucci - NEO) - The commander of terrorist organization and Al Qaeda affiliate Jaysh al-Islam (the Army of Islam), "Sheikh" Zahran Alloush, was killed in a Syrian airstrike this week in the suburbs of Damascus. In a surreal, coordinated propaganda campaign, the Western media sidestepped Alloush's praise of and coordination with US State Department-listed foreign terrorist organization Jabhat al-Nusra, previously known as Al Qaeda in Iraq - and indeed, the very terrorist organization that the so-called "Islamic State" (ISIS/ISIL/Daesh) itself sprung up from. 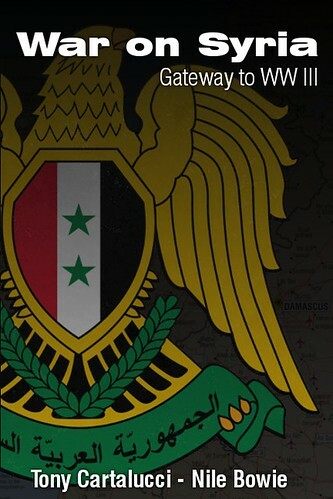 Liwa al-Islam [now known as Jaysh al-Islam] is a driving force behind actions in Damascus, and is part of the current multilateral effort, codenamed “Operation Epic in the Capital of the Omayyads,” to gain ground and prepare for later sustained efforts against regime forces in the city. Liwa al-Islam is known to cooperate with Jabhat Nusra and conduct joint operations. Image: The corporate sponsors of the Institute of the Study of War, a think-tank tasked with portraying terrorists fighting in Syria as "moderates." It incidentally revealed in one of its own reports that Jaysh al-Islam closely coordinated operations with US State Department-listed foreign terrorist organization, al-Nusra. 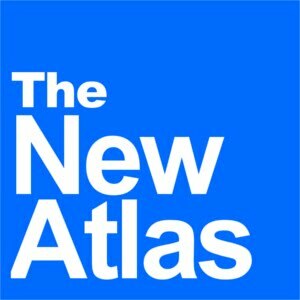 Ironically, despite knowing the various affiliations "rebel groups" in Syria have with Al Qaeda, O'Bagy herself, along with the so-called Institute for the Study of War - an arms industry-funded think tank - have attempted to perpetuate Western support of these "rebel groups," which in turn have perpetuated the deadly conflict raging in Syria. The profitable war, and the US dominated MENA region that would form as a result of its successful execution, helps explain why the West is so interested in portraying terrorists as "moderates," and going as far as mourning the death of a terrorist leader who openly worked with and praised Al Qaeda. The summary of this issue is that we in Jaysh al-Islam praise our brothers of the Nusra Front, and we don't consider them Khawarij as is propagated against us. We fight alongside them and they fight alongside us. Regarding the fact that there are some states that are not pleased with the Nusra Front, this is the business of these states. We praise those who fight alongside us and raise the banner of Allah. The anger of these states doesn't matter to us, not from nearby or faraway. Together with admissions from the very states that were arming, funding, training, and supporting Alloush and his terrorist organization, and from Alloush himself, he and Jaysh al-Islam are undeniably allies of Al Qaeda in Syria - the al Nusra Front. The Department of State has amended the Foreign Terrorist Organization (FTO) and Executive Order (E.O.) 13224 designations of al-Qa’ida in Iraq (AQI) to include the following new aliases: al-Nusrah Front, Jabhat al-Nusrah, Jabhet al-Nusra, The Victory Front, and Al-Nusrah Front for the People of the Levant. The Department of State previously designated AQI as an FTO under the Immigration and Nationality Act and as a Specially Designated Global Terrorist under E.O. 13224 on October 15, 2004. The consequences of adding al-Nusrah Front as a new alias for AQI include a prohibition against knowingly providing, or attempting or conspiring to provide, material support or resources to, or engaging in transactions with, al-Nusrah Front, and the freezing of all property and interests in property of the organization that are in the United States, or come within the United States or the control of U.S. persons. Clearly, Jaysh al-Islam's praise of and coordination with al-Nusra constitutes, "knowingly providing, or attempting or conspiring to provide, material support or resources to, or engaging in transactions with, al-Nusrah Front." 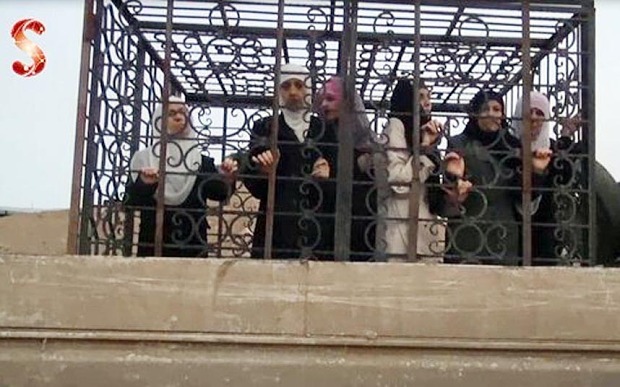 Image: The "moderate" terrorists of US-Saudi backed Jaysh al-Islam uses women as human shields to protect themselves from Syrian and Russian air operations - a fact even the Western media noted, albeit deeply buried in their eulogies for Alloush. That none of this is mentioned in the weepy eulogies of Alloush in the wake of a Syrian airstrike should trouble the millions of Americans and Europeans who have been convinced for over a decade that Al Qaeda is their enemy and that the constant state of war imposed upon them to battle Al Qaeda and those that would aid and abet it, is an existential necessity. Analysts said the strikes were in keeping with longstanding efforts by the Syrian government and its allies to eliminate groups claiming to occupy a middle ground between Mr. Assad and the Islamic State. The efforts are part of a broader objective to improve Mr. Assad’s standing among Western governments, which despise him but also see the Islamic State as an increasing menace. In reality, Jaysh al-Islam does not occupy a "middle ground" between the Islamic State and the Syrian government. Regardless of alleged tensions between Jaysh al-Islam and the Islamic State, they pursue the same goals, backed by the same foreign interests, using the same tactics. 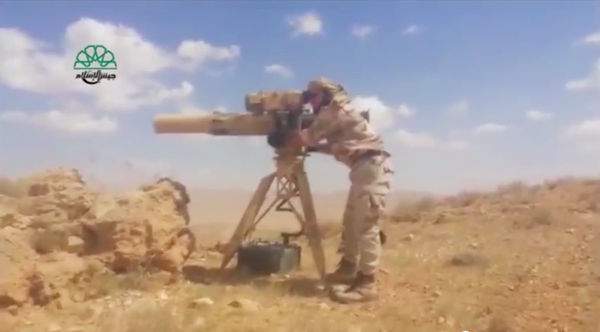 Image: A member of Alloush's Al Qaeda-affiliate Jaysh al-Islam fires a US-made anti-tank TOW missile system likely laundered through Saudi suppliers. The US has documented Jaysh al-Islam's ties with Al Qaeda, but continues to provide it with cash, training, weapons, and political support nonetheless. Alloush’s forces receive backing from Saudi Arabia, which has supported Syrian rebels but has thrown its weight behind the renewed diplomatic push to end the conflict. 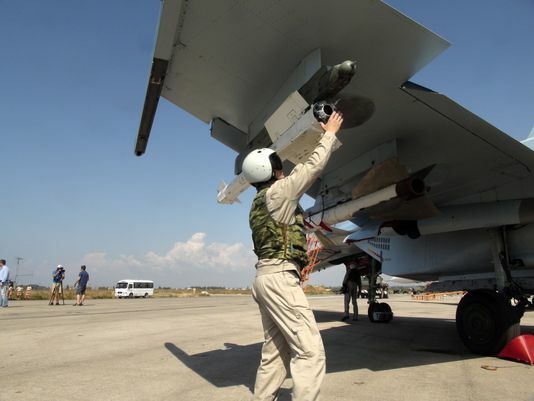 Intensified Russian strikes on rebel forces, including Saudi allies such as Alloush, however, may shake the oil-rich kingdom’s support for renewed peace efforts. This indicates that among the many groups the US and its Saudi allies seek to put into power should they succeed in "regime change" in Syria, includes Al Qaeda-affiliate Jaysh al-Islam. That Saudi Arabia's role in the conflict - often portrayed as supporting "moderate opposition forces" - is revealed instead to be supporting Al Qaeda affiliates, further justifies both Damascus and Moscow's claims that there are indeed no moderates fighting the Syrian government, and that the only way the conflict can be ended is by eliminating these terrorists and restoring order within Syria's borders. The West's Decade-Long "War on Terror"
Al Qaeda stands accused of carrying out terrorism globally, including the terrorist attacks on September 11, 2001 in the United States that left nearly 3,000 dead in a single day. Its alleged role in the September 11 attacks triggered over a decade of global war, including the invasion and occupation of Afghanistan, the invasion and occupation of Iraq, and the chaos and bloodshed that continues to this very day in the Middle East and North Africa (MENA). It is global war, waged by the United States and its partners, in which over a million have died, including thousands of dead Western troops, and tens of thousands more maimed, and tens of millions of Middle Easterners, North Africans, and Central Asians maimed, displaced, or otherwise affected. Considering this, one would expect the loss of one of Al Qaeda's allies to be a milestone in this global war. When the West finds itself instead mourning the loss of one of Al Qaeda's allies, attempting to cover up or spin its ties with the terrorist organization, the truth behind this global war begins to shine through over a decade of lies and propaganda. Image: Joint Russian-Syrian military operations are clearly, demonstrably undermining and destroying the fighting capacity of terrorist organizations fighting in Syria. Just because the West refuses to label the organizations being destroyed as "terrorists," does not change that fact, nor the fact that US operations in Syria have been exposed as disingenuous in intention, bolstering terrorists, not fighting them. Disgracefully, while the West claims the government in Damascus is the cause of both the rise of terrorism in Syria and its perpetuation, it was Damascus, not the West that eradicated Alloush - head of an Al Qaeda affiliate in Syria. Worse still, it is the United States and its allies, particularly Saudi Arabia, who have propped up Jaysh al-Islam and Alloush. It is clear that regime change in Syria will not help end terrorism or undermine terrorist organizations like the Islamic State or Jaysh al-Islam, but only help them. Damascus and its allies in Moscow and Tehran, demonstrably prove they are the only forces consistently fighting and defeating terrorism in Syria. The only other conceivable way to interpret the West's continued insistence that only through regime change will terrorism end in Syria is to understand the West itself is sponsoring this very terrorism as a pretext for regime change. Such sponsorship, and thus the terrorism resulting, will only "end" once the West achieves its goals.